You must make reservations at least 5 minutes in advance of the time at Masraff's. We offer complimentary valet as well as self parking. 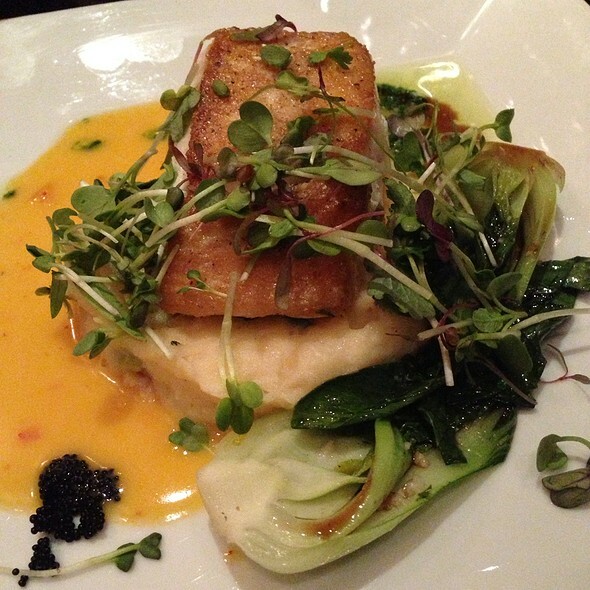 Masraff's on Post Oak Blvd is a casually elegant upscale restaurant owned and operated by Houston restaurateurs, Tony and Russell Masraff. The restaurant has quickly become a local favorite with it's unique American cuisine and contemporary ambiance. Best described as American cuisine with a touch of Southern Europe, the seafood, fowl, homemade pastas, lamb, beef and seasonal game will satisfy the most discriminating diner. Soon after opening, Masraff's received stellar early reviews, including the prestigious three-star rating from the Houston Chronicle Dining Guide, as well as being named among the ten new restaurants on the culinary cutting edge in the US by The Wall Street Journal. For a delightful culinary experience, dine at the Chef's Table, where the Chef prepares a gourmet six -course dinner of his choosing. The Restaurant, which has recently moved to 1753 Post Oak Blvd from its former location at 1025 S.Post Oak Lane, seats over 200 for lunch and dinner. Food is excellent and lots of servers, we did go at 5pm so restaurant was quiet and was easy to talk with our party. Love this place! Wonderful food, great service and good value! Excellent service and delicious food. Helped to make our anniversary a very special night!! We celebrated our 40th Anniversary with our family and friends. Masraff's helped us make it elegant and friendly, accommodating our requests and planning. Service - incredible. We requested Roberto to be our waiter in charge that night and he too was incredible. Everything was on time and super friendly, flawless. Food - incredible, from the Hours d'oeuvres to Appetizers, Main Course and Desserts, all choices were super tasty. Everyone enjoyed the atmosphere and food. We are happy to recommend Masraff's for any occasion. We have eaten there prior and since, always great ! Aaron was our server. He was very polite and attentive. Pretty restaurant and not loud which was nice as I didn’t have to talk scream at my hubby. We got the Bibb chopped salad and Chilean SA bass both were very good. Fresh berries for dessert. 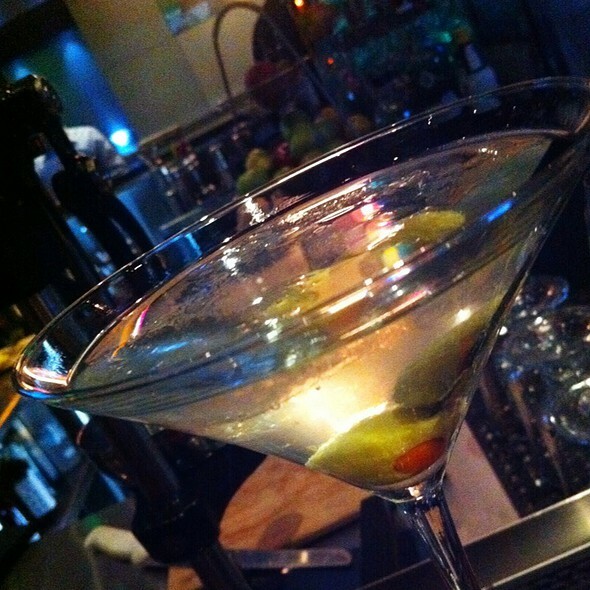 Only complaint is the Pear martini was more like a Lime martini. This has nothing to do with Aaron as he offered to take it back. The description said Pear vodka with lime and I’m thinking a squeeze of lime. I’d like to see that get corrected either the name changed or make the pear martini taste like pear. Overall I would go back. Food was outstanding! 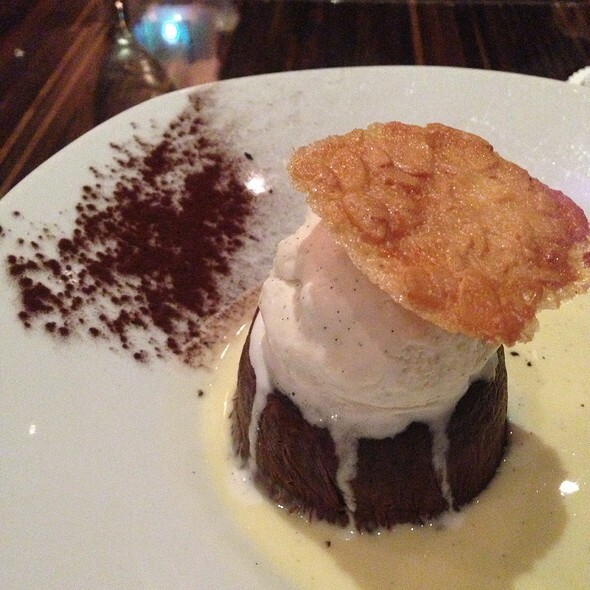 From appetizers through desserts - outstanding. We were having a conversation at the table comparing the food between State of Grace, Brennan's, Capital Grille, Café Annie and Fleming's. We agreed that Masraff's was best. Great ambiance too. And an outstanding waitstaff. And great wine list. Kudos. We went for my husbands birthday and loved it, it is now his favorite place in the galleria as well. We drove an hour from north side to celebrate here. The calamari is my favorite anywhere!! Both the bar and restaurant side are amazing. 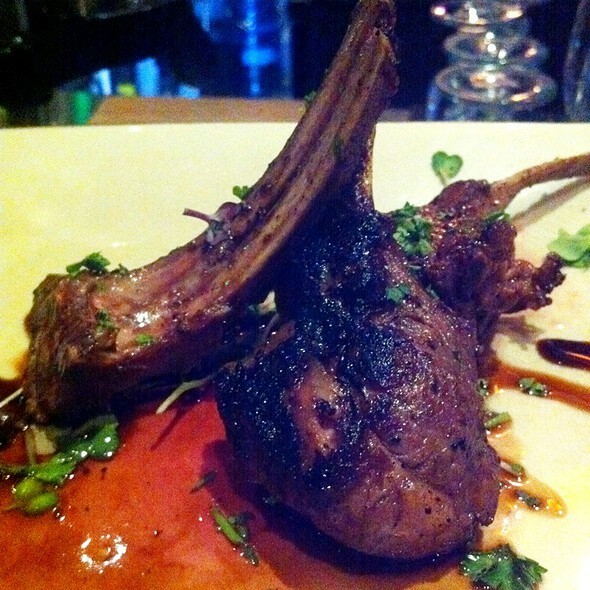 We got our second fav lamb pops and ventured out to try the duck confit appetizer. My hubby doesn’t care for duck and it is now his favorite appetizer. He even liked the mushrooms which is unheard of for him. Their Cesar Salad is also our favorite. The relish they add to the egg sends it over the top. I would eat this every day!! the Bison Ribeye was a huge win for hubs on his day. The desserts are always as beautifully presented as they taste! They are all wins. one of the best restaurants in houston. great food, service, etc. calamari is a must. all fish is great. Always good- Russell et al never disappoint. Love the new location- just a wonderful spot. It's not the place I expected. Much more casual. Their profile picture with white table cloths is a thing of the past. Jeans and Fleece are the garments of choice these days for the patrons. We love this place. We have been coming here for years, and have brought many friends here. Have never had anything less than a great meal and wonderful experience. This last time the waiter could have been just a little tiny bit more attentive but overall, still terrific. This is our favorite "go to place" when we want something special. We always request the wine room because of its intimate nature. The room was split due to a party and we were seated in the smaller room with four tables. Great people watching in a very intimate setting. Noise level was moderate. Eric was our server and he was a treat. good pacing on dinner and the swordfish special was fantastic -- as advertised. I have had bison in no less than 25 places around the country. This was 10 times better than any place I have experienced!! Food was great; service was beyond our expectations! My only reservation is we all and I mean everyone in the room was enjoying so much that it was loud. But can’t wait to go back and without hesitation recommend to all!! The place has great atmosphere, and the service was impeccable. Very personable server. 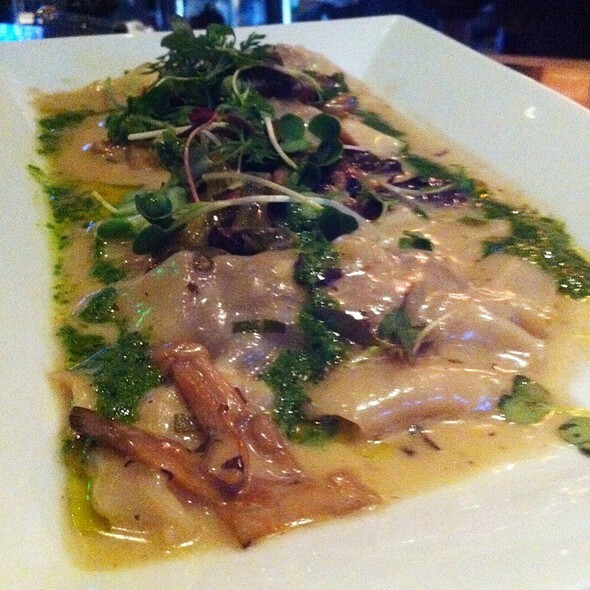 I had the shrimp ravioli, which wasn't my favorite dish that I ever got at Masraff's. I expected a little more Italian taste, and it wasn't memorable in a good way. It was nicely presented. But, I've had great dishes there and wonderful experiences. So the place is great. I'll just try another dish next time. The food was excellent! I will definitely return soon! Another dinner experience with business friends we had looked forward to and were not disappointed. special mention besides the excellent food preparation should go our waitress Lucy, who really was outstanding in her commitment to service. We will be back again and again. I took my boyfriend here for his birthday and everything was fantastic. It was our first time here so we had no idea how it would turn out. However, from the moment we walked in to us getting up to leave, it was perfect. The staff was on top of everything. It is a pricey restaurant but totally worth it. We would definitely return and recommend to anyone looking for a romantic dinner. Masraff's menu offers a creative flourish on traditional Continental and American dishes. Always a treat. In addition to the dining room and bar area they have a patio for after dinner libations and a smoke. And they serve Nocello! 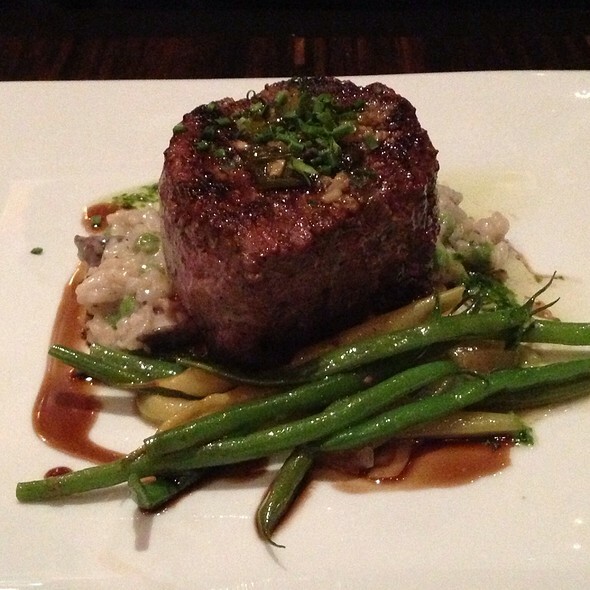 The food was delicious and the chef was very accommodating to my date, who had multiple food allergies. We ordered the calamari (delicious!) and the chef made it two different ways so we both could enjoy it. The sommelier, Thurston, did an amazing job as well. I can’t remember the last time I had wine that tasted that good straight out of the bottle. It paired very nicely to our meals. Great experience! We had an outstanding dinner at Masraff’s. The whole experience of Masraff's was just OK. It wasn't terrible, but far from great. I think the menu was interesting and the plates appearance was nice but the quality and taste of the food was disappointing. From the Duck Confit Ravioli, to the flavorless red snapper to the 8oz Filet, this was not high end dining and we could have done as well at Outback Steakhouse for a quarter of the price. The service was efficient but too chatty and not what we preferred for a nicer dining experience. 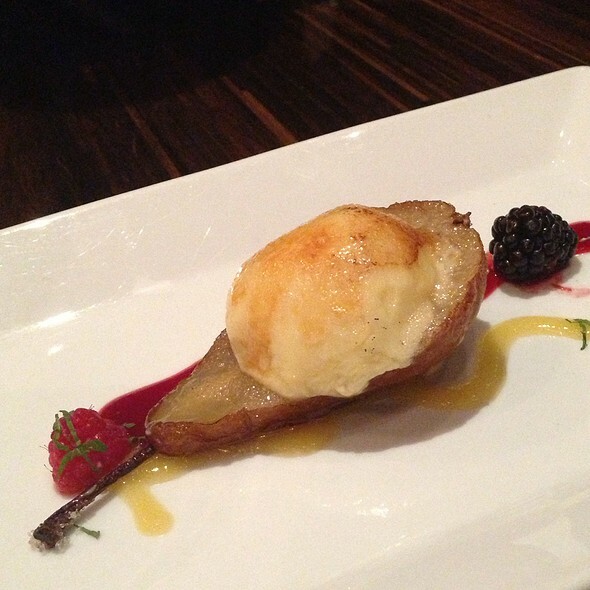 However, the Butter Roasted Pear Creme Brulee was excellent as well as the extensive wine list! Masraff's is one of Houston's dining institutions and even with the proliferation of swank new restaurants in Houston, retains its place as one of the city's most eminent establishments in terms of decor, quality of cuisine and general atmosphere. The Post-Oak area where it is located has seen a lot of renewal in the past five years, yet Masraff's, which predated all that, sits snugly among the newbies as one of the shining lights of the area. Repeatedly good experience in food and service. I was there to celebrate a friend's birthday and everything was wonderful. From the service to the food! We will definitely visit again. The food was wonderful like always, but the service was a miss this time. The waiter wasn't very attentive at all. We hadn’t been to Masraff’s in a while but decided to venture back. We started with champagne (brut for him & brut rose for me - both fantastic!) then ordered a wonderful Pinot from the extensive wine list. It was hard to make food decisions because everything sounded so good. Finally we settled on a crab cake starter for me (unique flavors & so delicious!) & the soup of the day seafood stew for him. It was much like gumbo but had fish in it as well. He loved it! We both then opted for the snapper with orzo and it did not disappoint. We both loved it so much. We were way too full for desert but they had great choices. We will definitely be back! Everyone in this restaurant is friendly and accommodating to your needs.